Welcome to the Smart City Innovation Lab! Solving the Business Side of Smart City Projects. Business model development. Stakeholder alignment. Citizen engagement. 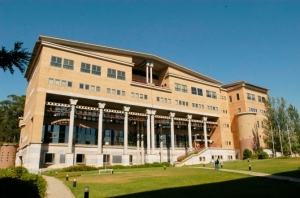 The Smart City Innovation Lab (SCIL), is a multi-disciplinary research group at Católica Lisbon School of Business and Economics (Portugal). 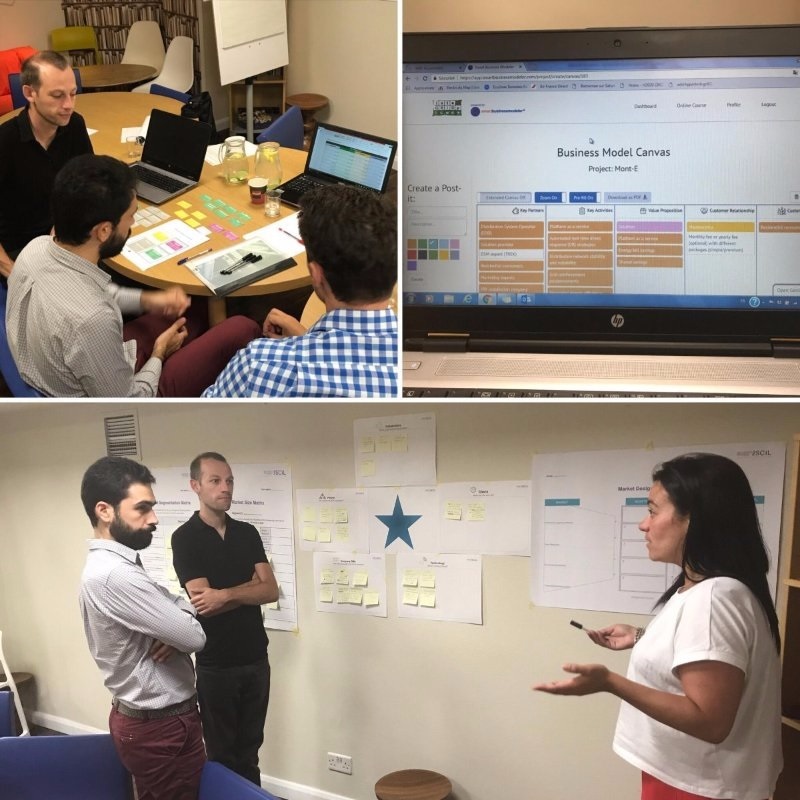 SCIL’s mission is to empower businesses to create wellbeing in urban areas via digital technologies, novel business models and sustainable values. The research of the group focuses on business models, entrepreneurial strategy, and digital innovation. SCIL consults companies on strategic issues related to business modelling and digitization. SCIL collaborates with 50+ companies across Europe and has ongoing research projects with leading universities around the world (e.g. MIT, St.Gallen, Manchester). 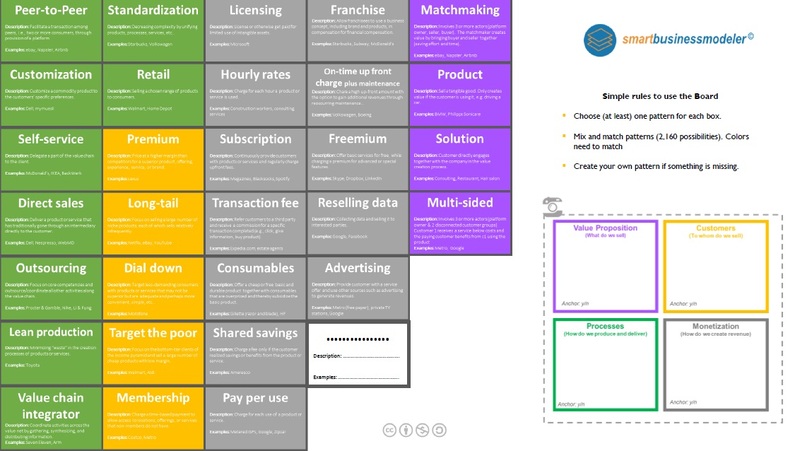 The lab is lead partner in two European H2020 projects and hosts the online platform www.smartbusinessmodeler.com. SCIL was founded by René Bohnsack, PhD, Professor for Strategy and Innovation at Católica-Lisbon. Thank you to all the applicants. We are currently reviewing all applications and will soon be in touch. 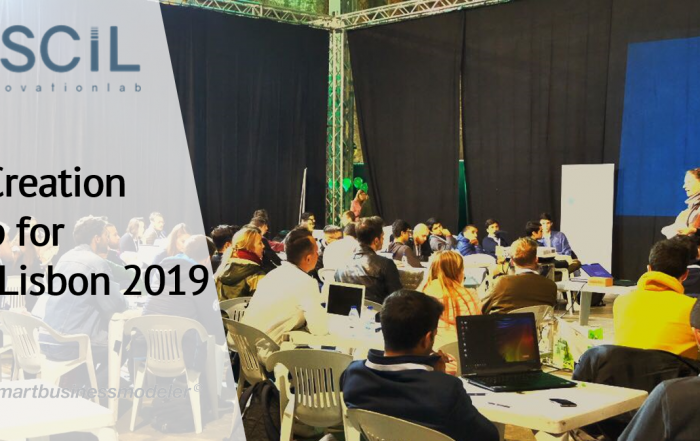 The Portuguese German Chamber of Industry and Commerce and the Smart City Innovation Lab at Católica Lisbon are looking for the most innovative companies in Portugal. Innovation is key for development and therefore an important factor for prosperity. 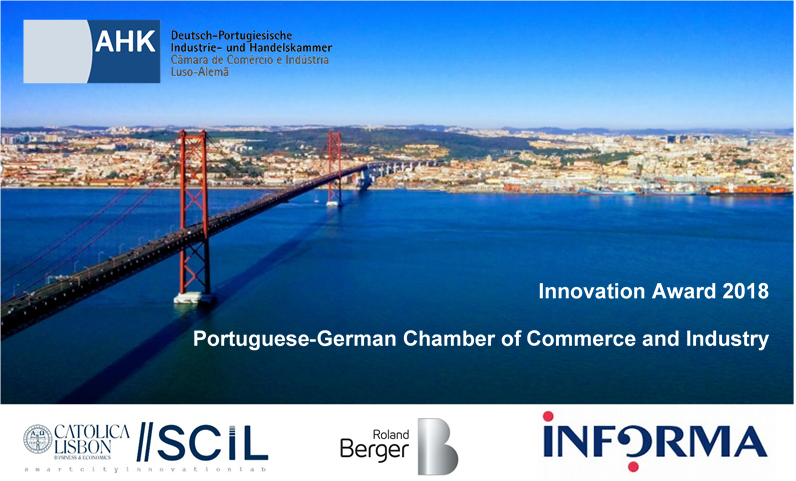 For the innovation award of the Portuguese German Chamber of Industry and Commerce, both the innovativeness of the firm as well as the innovation as such will be considered. Download brochure in English or in Portuguese. 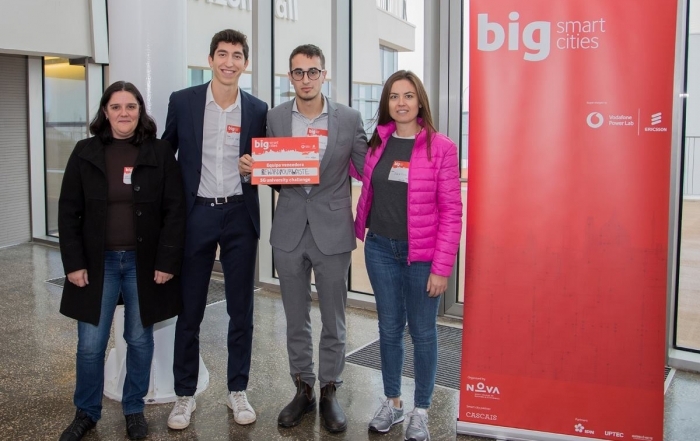 The Smart City Innovation Lab was invited to guide and inspire 25 teams at the 7th edition of BET24 Startup Challenge 1.0. 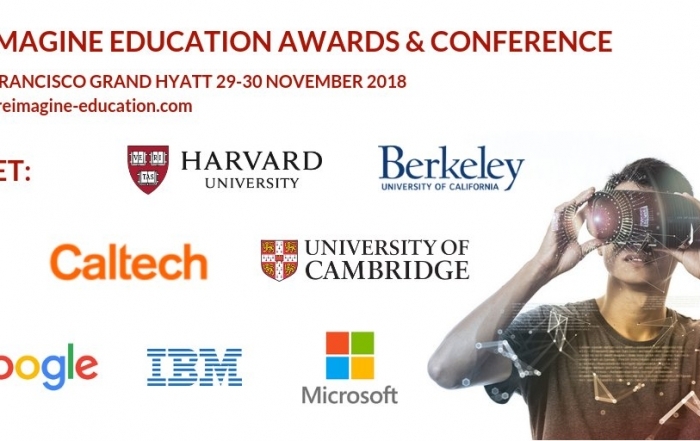 We are honored to announce that our innovation and venture creation platform Smart Business Modeler won the Gold Award for the most innovative, impactful, and scalable ICT tool empowering outstanding teaching and learning! The Integrated Smart GRID Cross-Functional Solutions for Optimized Synergetic Energy Distribution, Utilization Storage Technologies (inteGRIDy) aims to integrate cutting-edge technologies, solutions and mechanisms in a scalable cross-functional platform connecting energy networks with diverse stakeholders, facilitating optimal and dynamic operation of the Distribution Grid (DG), fostering the stability and coordination of distributed energy resources and enabling collaborative storage schemes within an increasing share of renewables. inteGRIDy tackles the challenge of reducing greenhouse gas emissions as well as the need for synergy to speed up the development process, and thus market introduction of novel digital services in the energy industry. The Consortium, which the Smart City Innovation Lab is part of, comprises 30 partners. SCIL is responsible for the business modelling toolsets. The Smart Business Modeler© allows for practice in business modeling. It is a business modeling tool that goes beyond existing tools. In such it guides the user to implement their business model in an online-tool that can be used as a webpage and shared right away with the world. 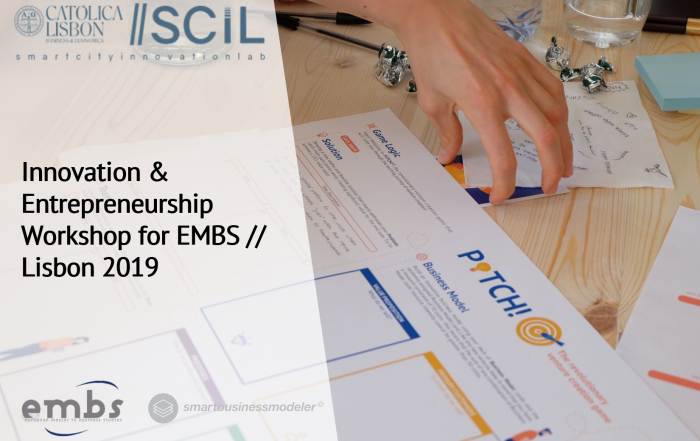 The Smart Business Modeler© has been built on state-of-the art research about business modeling and allows the user to be innovative but also consider the foundations of sound business modeling. The Smart Business Modeler was created due to the lack of methodological tools for smart city business modeling as well as of expert guidance through the business modeling process in the online domain and a lack of understanding of how business model innovation can help in the smart city transformation process. 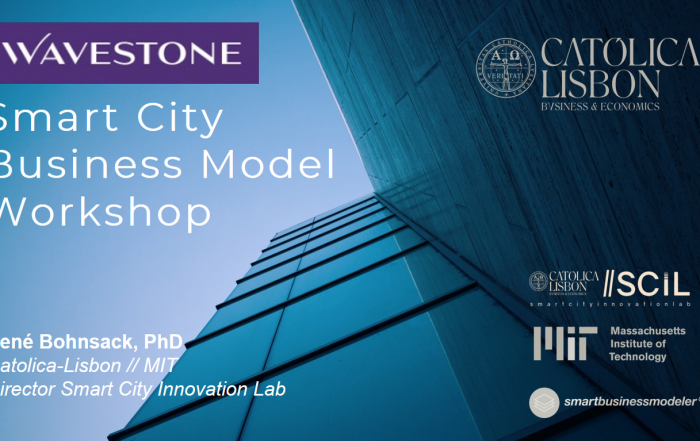 The Smart Business Modeler is a project developed solely by the Smart City Innovation Lab. The project me² represents a new market place for urban actors in which a local community of electric vehicle (EV) users and local smart meter (SM) owners are brought together through means of a local urban online community. The combination of these technologies in a community allows to integrate mobility with electricity, to balance the grid, to reduce electricity costs, and to enable a feeling of local belonging. me2 enables urban demand-side management, i.e. aims to modify consumer demand for energy such as using less energy during peak hours in an urban community. The project is validated and optimized in two pilots in urban communities in Amsterdam and Lisbon. The project was created due to the high consumption of energy produced from non-renewable sources, not enough grid capacity and the high demand of electricity in the peak hours. 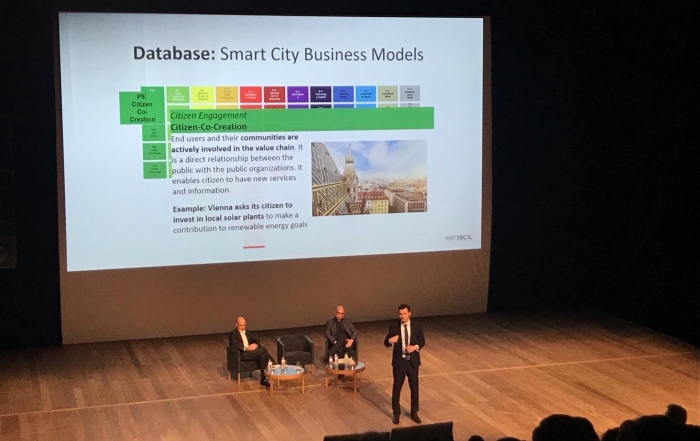 The project ended in May 2018 and the Smart City Innovation Lab contributed on business models, policy-strategy interplay and consumer behavior in the fields of mobility and energy. The DTx Digital Transformation CoLab aims to address the new paradigms in products, services, and human machine interface and the consequent changes in industry and society, fostering collaborative research and technological development between multidisciplinary academic knowledge and a wide range of industrial competences. DTx projects will address digitalization in product design, systems development and manufacturing solutions, and will be selected according to the CoLab technological roadmaps and the partners challenges. The DTx CoLab is a non-profit organization with 18 participating entities, including three universities and 13 companies. SCIL will mainly contribute with knowledge on Business Models applied to the prospective projects. The research project “BMx”, Business Model xploration, is looking into the possibilities to a) predict the success of a business model based on its description and context, i.e. team members and industry, and opportunities to b) suggest patterns and similar firms based on business model configuration, both in related and unrelated industries. Understanding the link between the configuration of a business model and expected performance can add significant value to academia and practice. In academia the business model – performance link is largely unexplored and in practice understanding configurational implications can save start-ups significant time, give insights into the industry and stimulate lateral thinking. BMx is a joint project between the Smart City Innovation Lab and the MIT Real Estate Innovation Lab. The ergoscan analyses postures directly at the workplace, gives feedback and coaches a healthy sitting behaviour through the combination of sensors and data analytics. To improve the sitting behaviour of workers, the concept comprises a five-day posture analysis at the workplace, an individual posture report, and online coaching to build and apply the knowledge. This innovative concept from the analysis to tailor-made exercises and tips for correcting unhealthy postures wants to ensure a lasting change in behaviour. The ergoscan was developed by the German startup Fitbase because 80% of German workers suffer from back pain, usually caused by unilateral postures. The Smart City Innovation Lab is testing the technology over several months to provide feedback. René Bohnsack is Professor of Strategy and Innovation at Católica-Lisbon and International Faculty Fellow at MIT Sloan School of Management. He studies the diffusion of technologies as well as how business models can accelerate this process. Dr. Bohnsack has published his research in the best international innovation and management journals such as Research Policy, Journal of Business Venturing, Journal of Product Innovation Management, California Management Review or Technovation. Next to the academic accomplishments, René co-founded several start-ups. 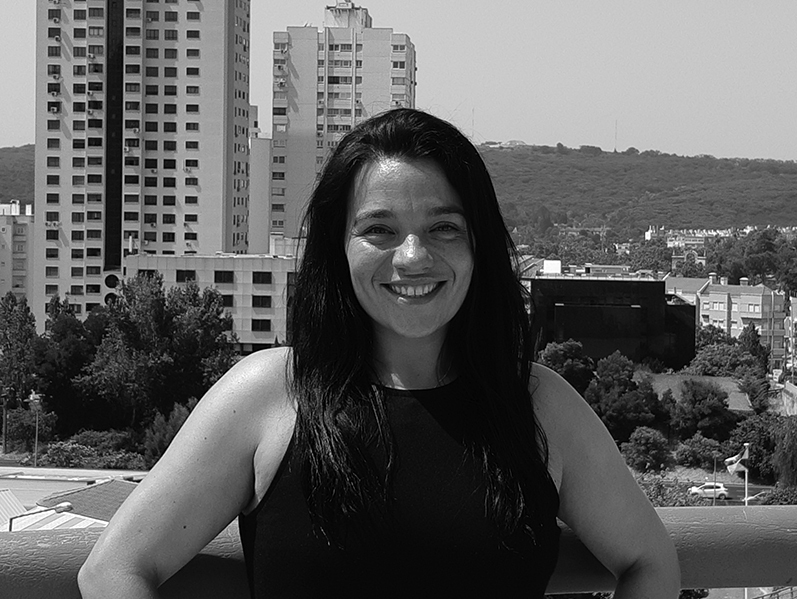 Cláudia Antunes Marante is a Research Fellow at the Smart City Innovation Lab at Católica Lisbon, she has a Master’s degree in Research on Business and Administration from Universidad Pablo de Olavide, Seville. She has some research experience, and has been a visiting scholar at University of Glasgow. Cláudia is currently enrolled in a PhD program focused on International Strategy. She also has non-academic work experience, being her last position as a Data Analyst at Cisco Systems Portugal. 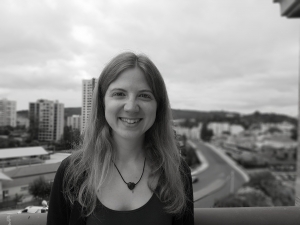 Alina Margolina is a Project Manager at the Smart City Innovation Lab at Católica Lisbon. She has a Master’s degree in Innovation and Product Management from the University of Applied Sciences-Upper Austria (Wels, Austria) and a Bachelor’s degree in Marketing Communications from the Higher School of Economics (Moscow, Russia). Her work in the Lab is dedicated to business model development for sustainability and the energy sector. In addition, she is interested in such fields as management of the fuzzy front end of innovation, customer co-creation and open innovation. Alina also has international experience in the fields of strategic foresight, product marketing management and marketing communications. 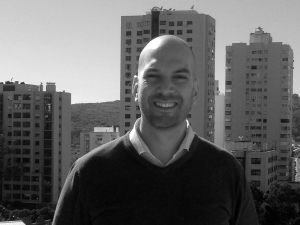 Tiago Antunes is a Software Developer at the Smart City Innovation Lab at Católica Lisbon. Tiago has a Master’s Degree in Information Systems and Computer Engineering from Instituto Superior Técnico – Lisbon, with a major specialisation in Software Engineering and minor specialisation in Enterprise Information Systems. He is skilled in web & mobile applications, and serious games development. 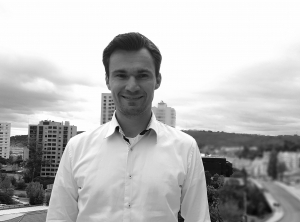 He has been working mainly as a freelancer, collaborating with companies and organizations from different countries, in several areas of software engineering. In the Lab, Tiago is responsible for the analysis, design, and implementation of the applications that support SCIL projects on sustainability and the energy sector. 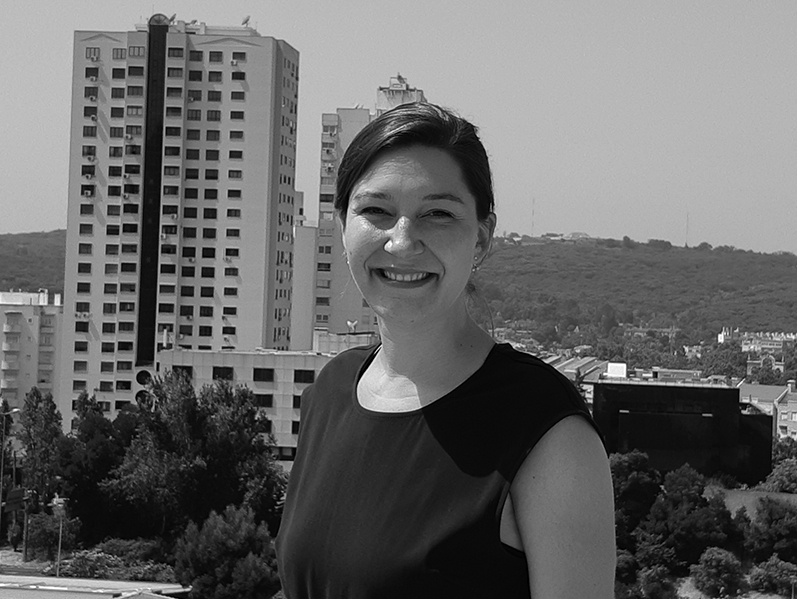 Stephanie Weller is a Research Fellow at the Smart City Innovation Lab at Católica Lisbon. She holds a master’s degree in Global Change Management from the University for Sustainable Development Eberswalde near Berlin. Her goal is to contribute to a social, ecological and economic transformation towards sustainability and her research interests are climate change, economic growth and sustainability, and business models for sustainability. At the moment she is working on a project on technological affordances that is looking at business models of companies to find out how sustainable technologies can be successful. 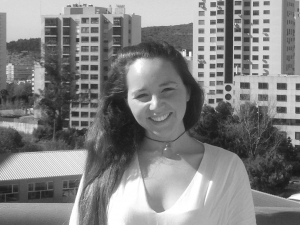 Mariana Morais Sarmento is a Research Fellow at the Smart City Innovation Lab at Católica Lisbon. She has an undergraduate degree in International Management from Católica Lisbon School of Business and Economics. Her role in the Lab is dedicated to content development for business model innovation and smart city innovation projects. Mariana is passionate about sustainable economic development of developing economies and she is deeply interested in social innovation as well as impact ventures. Christina Bidmon is a visiting PhD Student at the Smart City Innovation Lab at Católica Lisbon. Generally, she is based at the Strategic Foresight Research Network at the Aarhus School of Business and Social Sciences in Denmark. 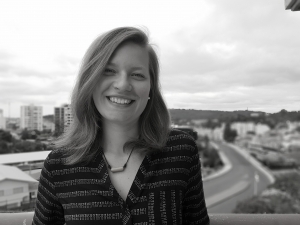 In her PhD, Christina studies the role of temporality for strategic renewal and innovation processes. As an empirical context for her studies she mostly uses incumbent organizations that see their current business model affected by sustainability transitions. Prior to her PhD studies, she has been working in management consulting and corporate strategy functions. Christina studied International Business Administration in Hamburg, Copenhagen and Mexico. 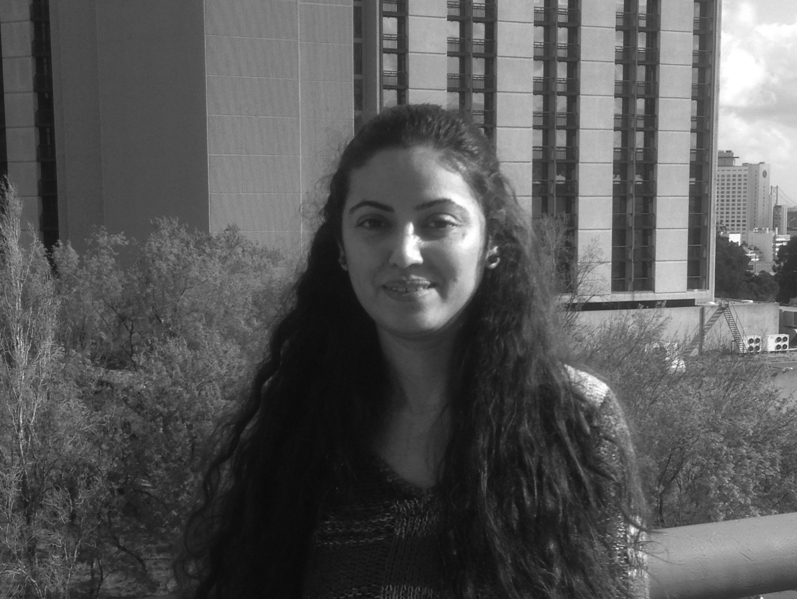 Sana Khan (PhD) was a post-doctoral Research Fellow at the Smart City Innovation Lab at Católica Lisbon School of Business and Economics. She holds a PhD in Management from Ca’ Foscari University of Venice. She is also a visiting researcher at ESDES, Lyon Catholic University and at the Center for Automotive and Mobility Innovation, Ca’ Foscari University of Venice. Her research majorly focuses on innovation diffusion, business model innovation, and consumer behavior. She is particularly interested in the understanding of consumer adoption of sustainable automotive technologies and sustainable travel behavior. We want to share our knowledge with you and therefore make case studies, worksheets and reports available. Learn more about our resources here!